Simple, Fast, Efficient. See why SkyEye GPS is for you. SkyEye GPS provides turnkey, customizable solutions that enable you to track and manage virtually anything that is important to you and your business. We are your last stop when it comes to tracking assets, improving road safety and regulatory compliance while driving down operational expenses. Regardless of your budget, SkyEye GPS has the right solution to address your simplest to most complex needs. We are more than just a vendor. We proudly serve a vast amount of different industries with award winning solutions, but our highest priority is placed on customer service. We care about our clients and we believe that it is important to deliver the highest level of value every day. You can rely on us. We are here for you! SkyEye GPS is manufacture independent so we are able to combine best of breed hardware with our industry leading software solution and our superior customer service to provide the best possible solution for you. Our all-inclusive solutions include all of the necessary components from a single source. 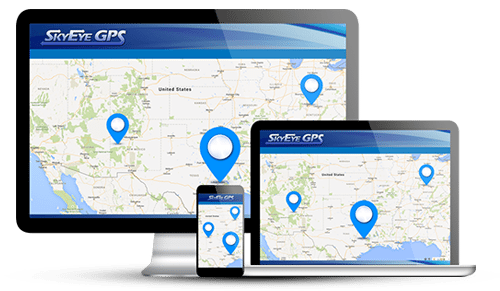 Let SkyEye GPS customize a solution to complement how you run your business.